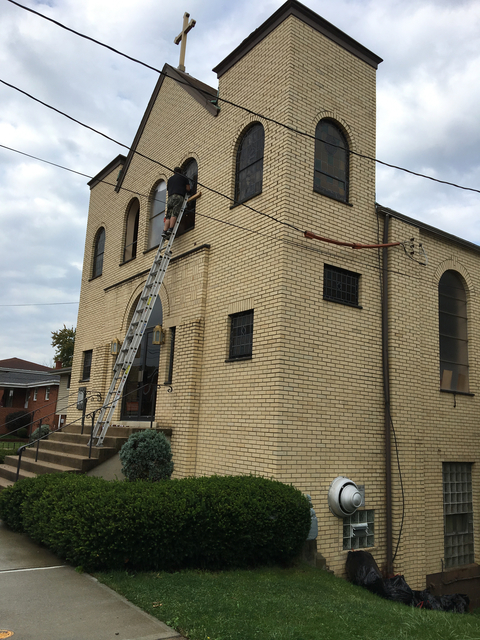 By the grace of God, the parish of St. George Church has recently embarked on a Stained Glass Windows Project to remove the original stained glass windows from the Dewey Ave church and move them to the new church on Washington Pike in South Fayette. 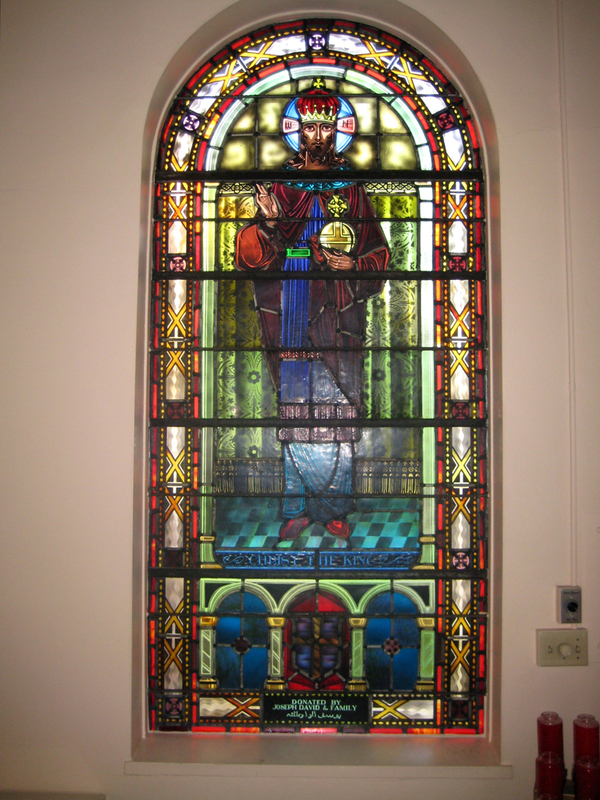 The parish has contracted Hunt Stained Glass Studio, the very same company that originally designed, created and installed the windows in the Dewey Ave church, to remove the windows on Dewey Ave, and repair and restore 13 windows that will then be installed in the new building. 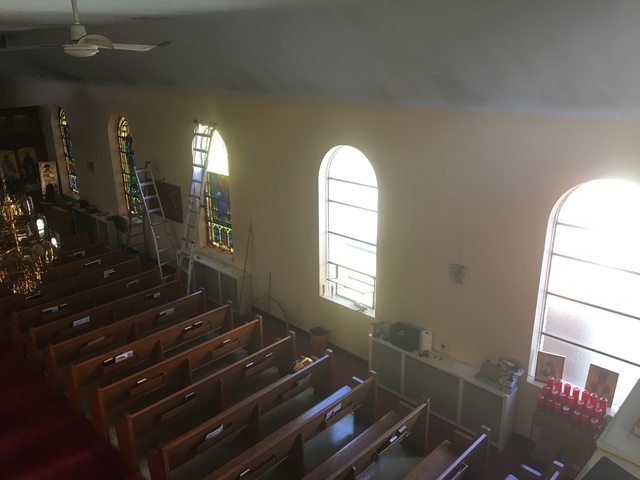 The remaining windows from the Dewey Ave church will be crated and stored until donor families can be contacted or a suitable use can be determined.